Last week I started a new series with More Than Mommies, answering money questions from the mommy blog world with some of my favorite personal finance bloggers. We got a great list of response questions. Look for the next one in March! The hashtag is #MomsOnMoney. But in the meantime, there were a couple more questions about taxes. Rather than make them wait a month for when tax season is already over, we’re going to get them answered right now. To the best of my ability. Each year, we get a pretty sizable tax return (thank you, children), and the hubs and I are never sure what to do with it. We try to put a bit back into the house, save a bit, use some for vacations and summer fun, etc. Our savings is secure, our debt limited to mortgage and 1 car payment. So are we doing the right thing with the lump sum return, or is there a more advantageous way to use it? The beautiful thing about personal finance is that it is so incredibly personal. Where we put our money defines what we value. So I’m going to say kudos to using part of it for vacations and other family fun; we totally do that, too. Now to the more pragmatic, less fun part of the answer. First we’ll tackle the savings. I’m not familiar with Stephanie’s finances, so I’m just going to take a three pronged approach. Standard financial advice is to build up a liquid (meaning the place you save the money will allow you to access it at any time without any penalties) emergency fund that would cover 3 months to one year. I agree with this advice, but I’d take the minimum up to six months. Because I tend to plan for the worst while hoping for the best. If you can get it up to one year, that’s even more amazing. Last is the debt aspect. It sounds like you guys have little consumer debt compared to most Americans! That’s awesome! The biggest thing I’d point out is that cars are a depreciating asset. The longer you use them, the more their value goes down. You loan amount, however, does not. It stays the same, and then actually gets bigger with interest. The sooner you can pay it off the better. You almost always end up up-side down on a car loan, but saving all that money on interest can make a bigger difference than you’d think, even if you can handle the monthly payments. Please don’t take that as an admonishment, Stephanie. I’m a total hypocrite as our own family still carries a loan on one of our two vehicles, as well. And the house. You are about to see how extreme the personal finance blogging world can be. When we were growing up, we were generally advised that the only two things worth borrowing for were a home and an education. I think the education thing is pretty much out the window now with ballooning tuition rates and the perfect storm of factors I outlined above. But homes. There’s definitely less confidence in the concept our parents taught us since 2007/8. Yet owning a home is still a major piece of the American dream. It’s one of my goals. So you’re a step ahead of this renter. In the PF world, however, I’ve encountered many bloggers that believe there is no such thing as good debt. Countless numbers of them strive to pay their home off as soon as possible, many of them achieving their goal in their twenties or thirties. They hack off an incredible amount of interest payments over their lifetime and only have to pay for taxes and insurance for the rest of their lives if they never move. This speeds up saving in all the other areas we discussed and frees up a ton of money for even more splurges. Totally not conventional in our society, but definitely smart and admirable. If you’re looking for a place to throw that money and you’ve already paid off the car and have all your savings in order (which it sounds like you do,) I’d apply it to my mortgage. Is it better to zero out on your taxes at the end of the year, or to get a refund? I’ve been told it’s better to zero out because the money is in your pocket all year, reducing the amount of possible debt. Technically, yes it is better to zero out. (Although if you have kids, remember that zeroing out most likely means that you’ll still get a return. Your tax will be “0” but you’re also possibly eligible for some nice credits if you’ve got little ones.) You do this by filling out the highest possible number of exemptions on your W-4, preferably at the beginning of the calendar year. If you don’t get that option every year, ask your HR department if you can adjust it. I’m pretty sure they have to say yes. If you do not carry debt, it’s still better to zero out. Because you could be stashing that money into savings. And as long as you don’t stuff the money under your mattress, it will be accruing interest. When the government holds onto it until they give you a refund, you are getting absolutely no interest and therefore losing out on income. But there are times when zeroing out is a really bad idea. If you don’t sit down a calculate how much your W-4 withholding adjustments will be increasing your monthly income, and then apply that income towards debt or savings immediately, that money is just going to disappear. Even if you do sit down and figure it out, but you know yourself well enough to know that you’re a spender and not a saver, you’re probably going to miss out on that money as well. Getting a zero interest refund is better than letting it slip through the cracks. I don’t zero out. Not because I’m a spender. But because I like the idea of getting a really fat check once a year. It’s psychological. And financial idiocy. But it’s my personal decision. Welcome to the hypocritical world of Femme Frugality. 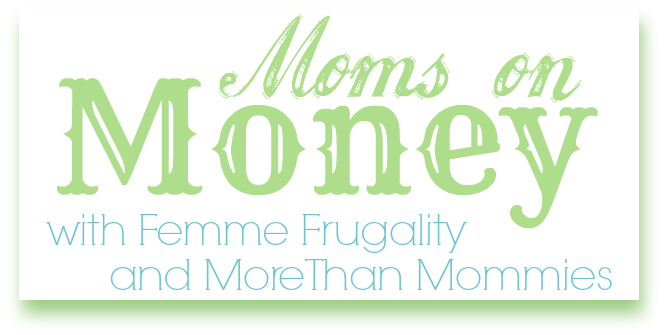 This entry was posted in Family Finance, Money Management on February 27, 2014 by femmefrugality. I am in LOVE with this new series, ladies–thank you! And I am totally not offended by the responses to my questions; you’ve pegged our family to a T! We’re paying extra on our car to get the payments over with ASAP, so we’ll go maybe a year with NO car payments. And then start all over… We’re paying extra on the mortgage and will have it paid off before our oldest goes to college. We have a liquid emergency fund ready for 4-6 months of “Just in Cases,” and you have certainly taught me something about educational loans. I’m sending my husband over here to see your answer to Julie’s question because it’s one that I have wondered about myself. AWESOME and helpful–THANK YOU!!!!!!!!! That’s amazing! Sounds like you guys have your stuff together. Glad it was helpful! Thanks so much for answering these questions. Lots of helpful info here and I am going to be sharing the crap out it! LOL Love ya! Great advice there, as always. I would have given the same exact advice to the recipient of the tax refund. And maybe the refund isn’t such a bad idea…it may result in greater savings than if you had received the money throughout the year. Exactly. You have to be really disciplined about it and know what tax will amount to and then break that number down by paycheck before the year starts in order to save it effectively. I understand the joy in getting a large refund and the forced savings aspect. But financial me thinks I should have that money throughout the year and cynical me says the government is lousy at managing money so why would I give them an interest free loan for a year just so they can waste it. Your financial and cynical self are 100% right. I know I’m being stupid not to do it. No justifications. The only time it does make sense is if you know you’re not disciplined enough to set that money into savings throughout the year, and in that case I think recognizing that is a type of responsibility in and of itself.